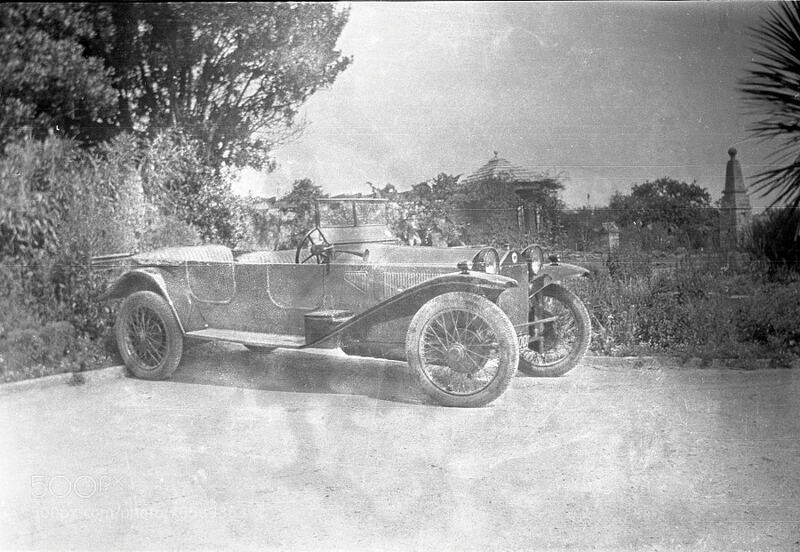 Vintage Car 1917 - India? I'm cheating slightly with the albums I have available. Nobody wants to see wall-to-wall photos of a long dead family and their exploits. They are of course fascinating, but I thought I would bring ahead a few of their travels. My Great Grandfather spent a lot of time in India - I haven’t had it confirmed that this is one of those times, but it was amongst the India collection. I’d love to know what this car is and if anyone can date it more accurately. It’s not the best preserved negative but I think that just adds to the character of the photo.